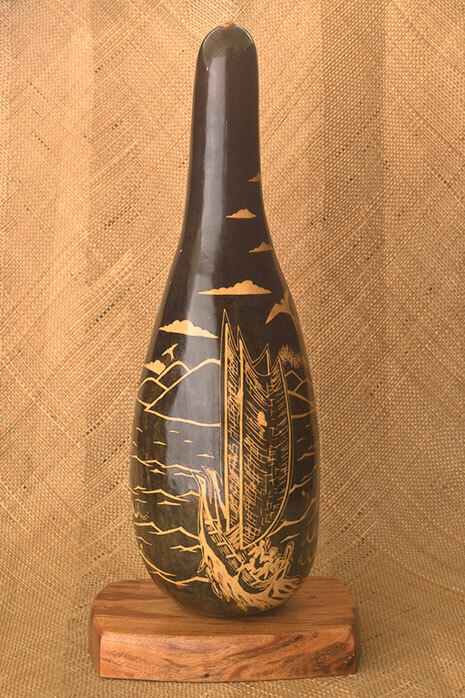 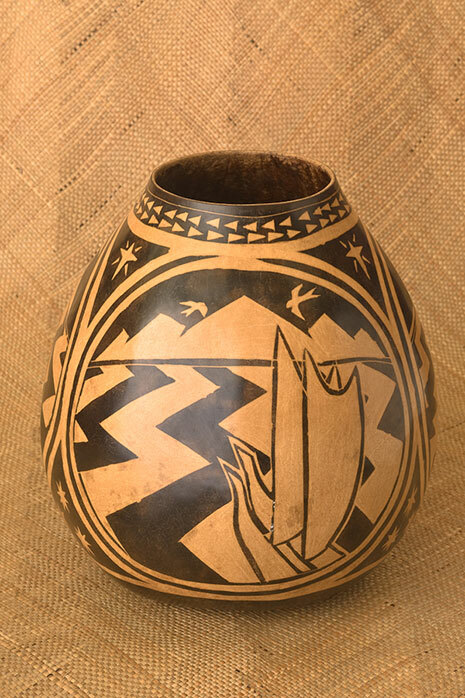 Gary's ipu are created with traditional Hawaiian techniques, and feature both traditional and contemporary decoration . 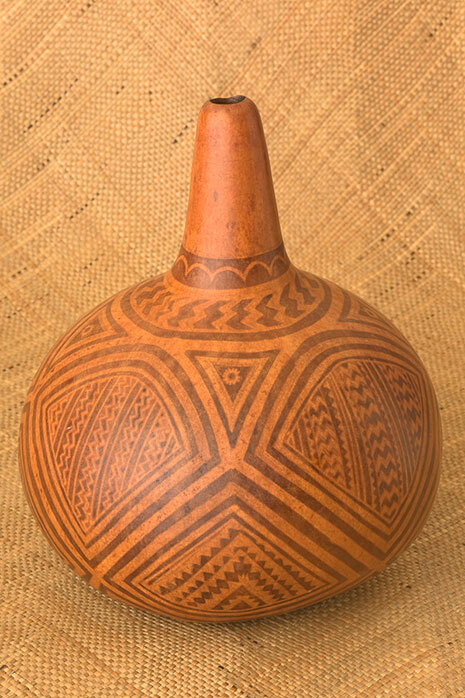 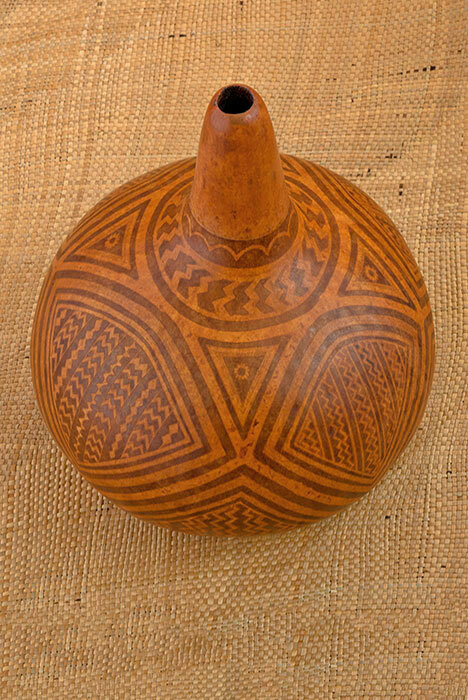 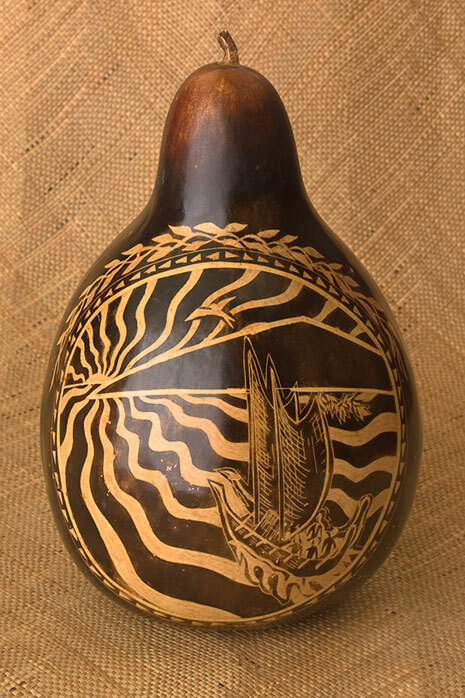 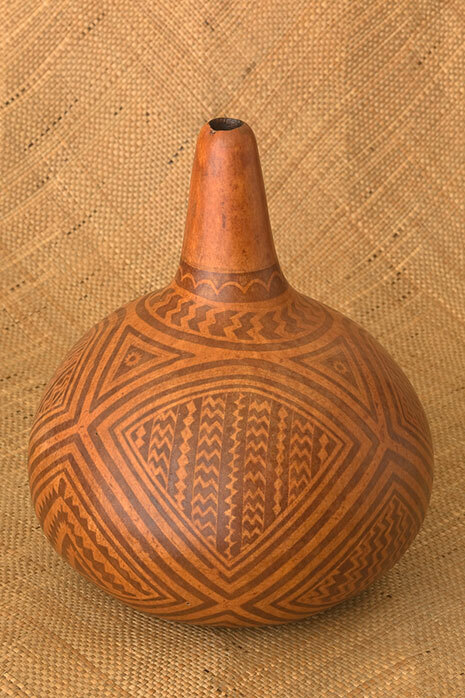 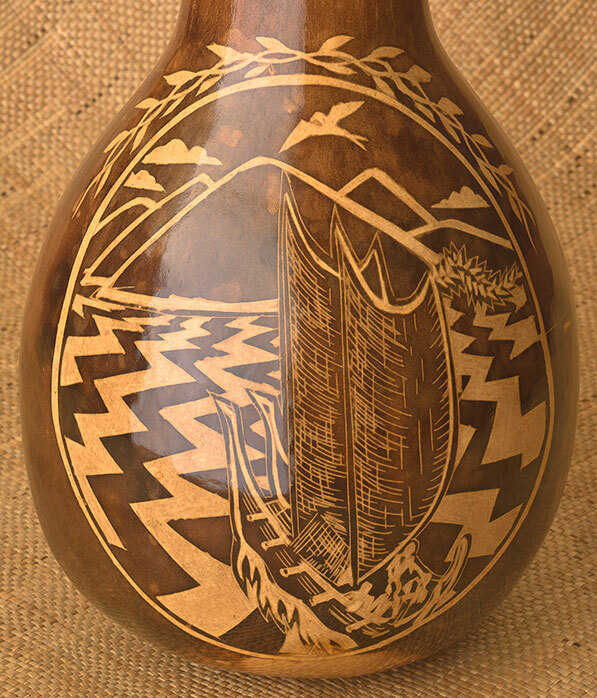 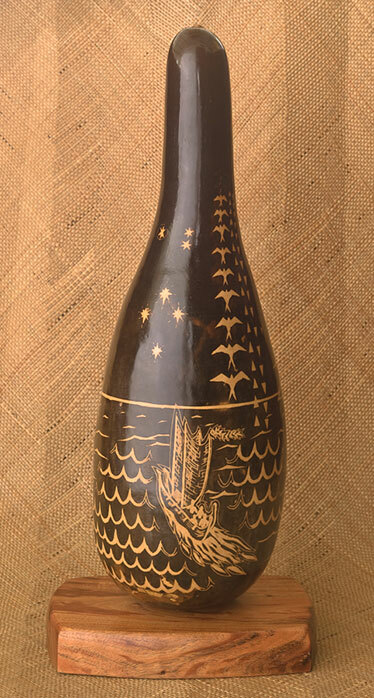 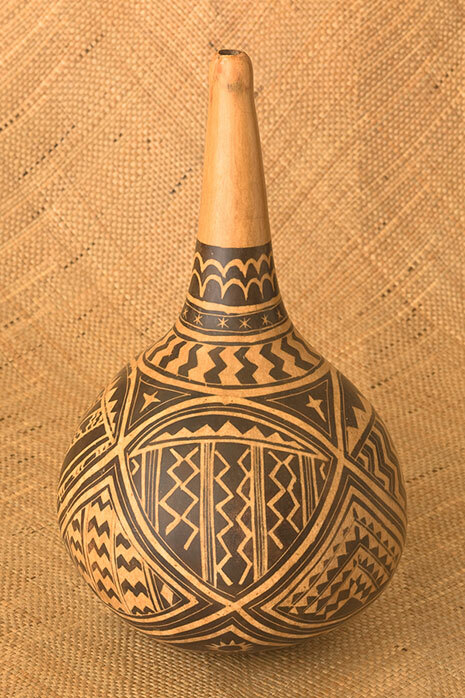 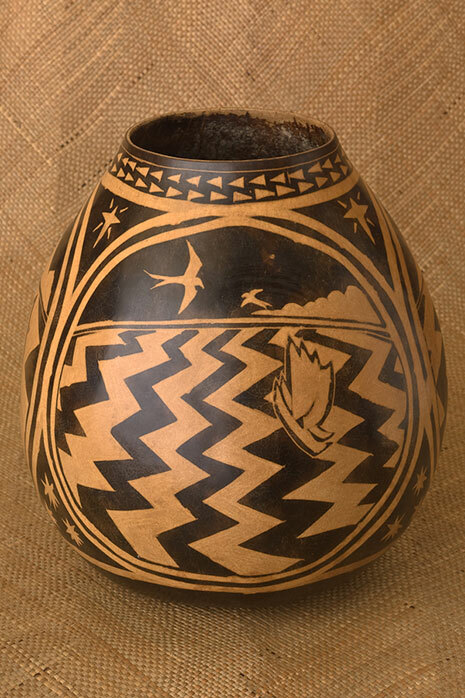 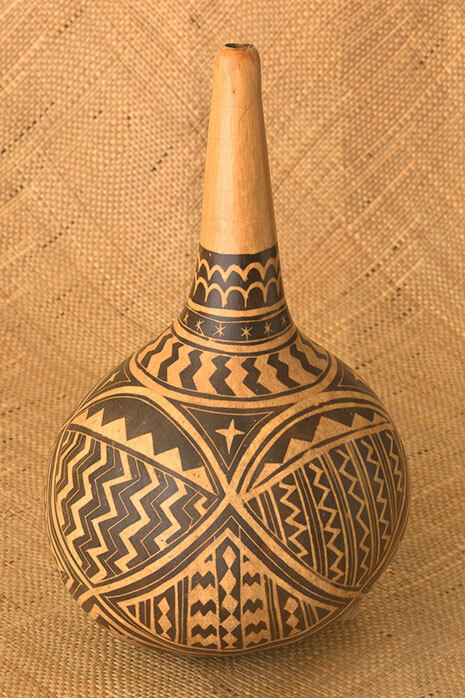 He grows the gourds, selects the ideal shapes, decorates them by using the traditional technique of carving the design into the skin of the green gourd, and then dyes them with plant based dyes. 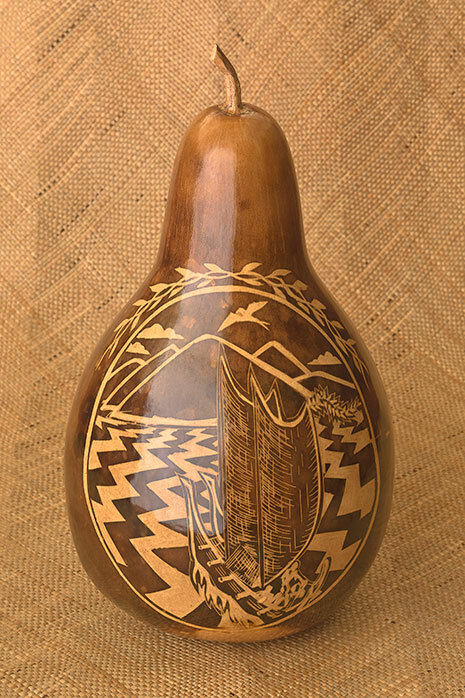 The gourds are then hollowed out and dried before final polishing and finishing. 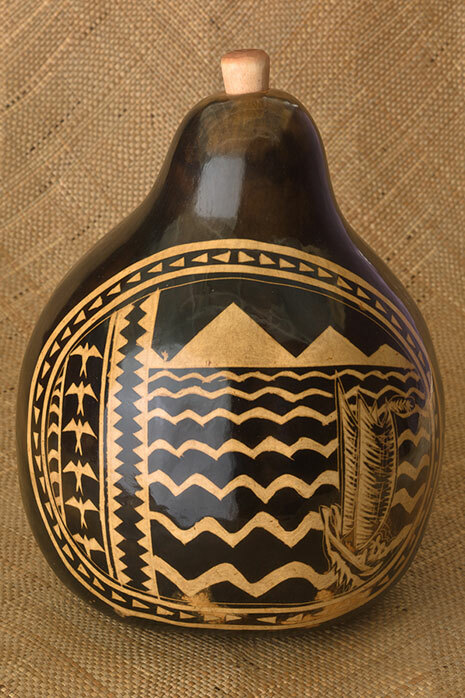 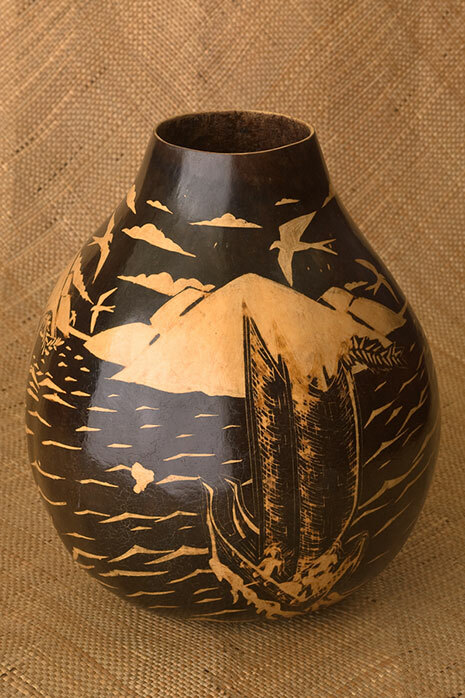 Selected traditional and contemporary ipu are available from Ipu Kane Gallery in Hawi, on the Big Island. 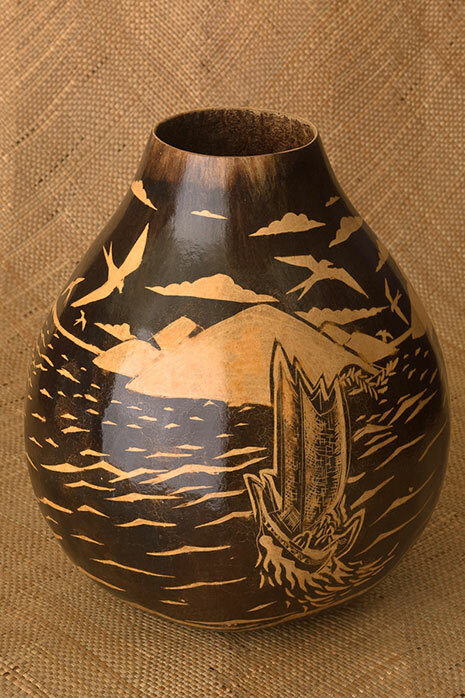 They may also be purchased directly from the artist.